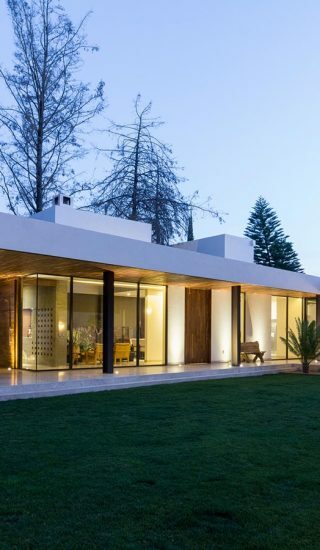 Modern bathroom sinks can take on many different forms, from round to rectangular, from narrow to wide and can be finished off in an array of materials and colors. 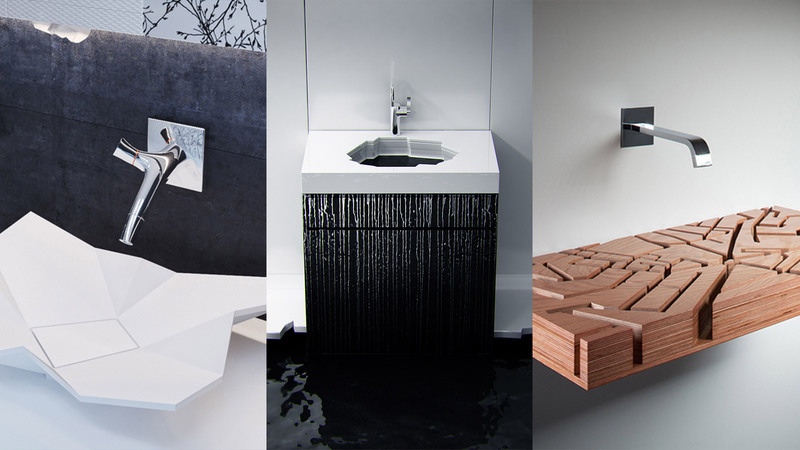 Sorting through all the variations can be tedious but we've done just that in our goal to find and showcase only the best, most creative, most modern bathroom sinks. 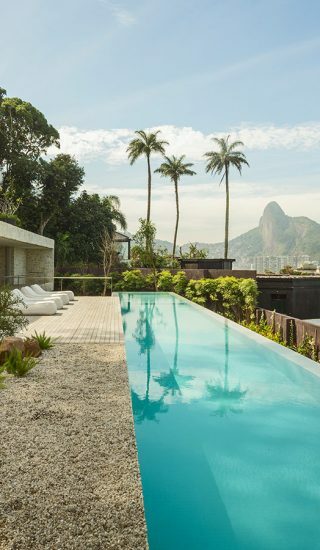 From winged to origami-inspired, from layered to twirling, these 10 amazing, modern bathroom sinks ooze luxury and focus on beauty, functionality and style. 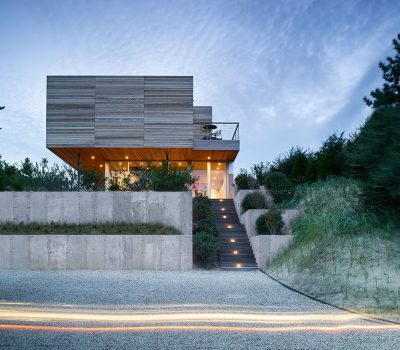 A wooden basin in the form of a topographic map in which water flows through ducts like river channels. 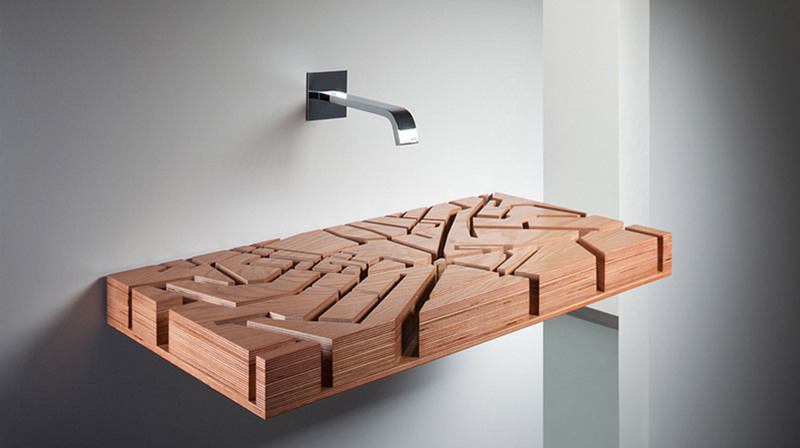 While the spacing between channels may seem random, the wooden map actually follows the pattern of streets in the centre of London. 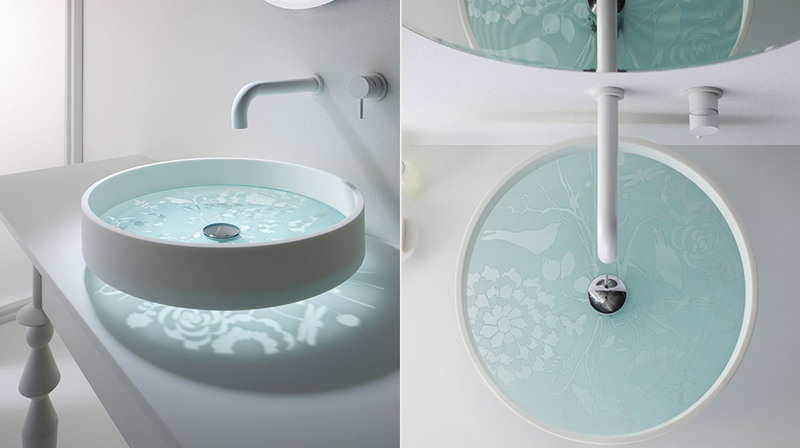 Mimicking the complex effect of a kaleidoscope, Motif bathroom sink has a base of etched glass which casts an ornate light pattern over the vanity top. 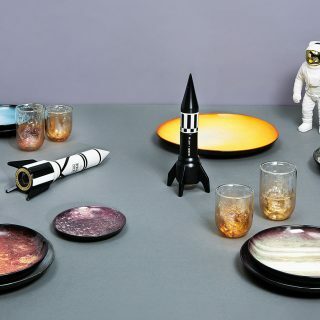 A spacer allows the basin to float above the surface. 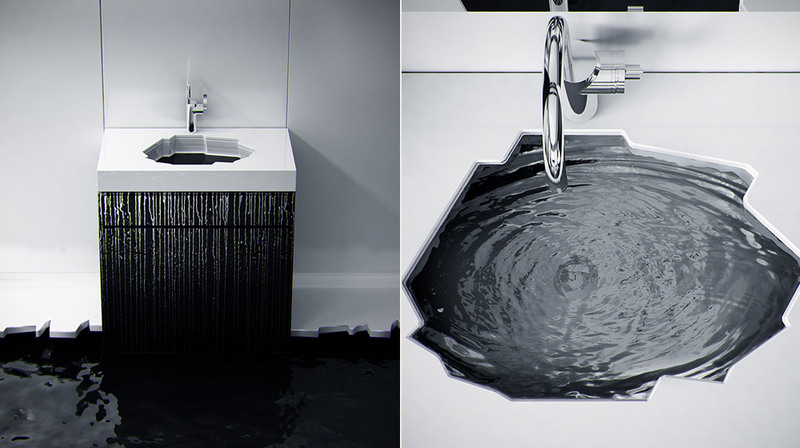 Inspired the shape of ice, this unique, modern bathroom sink is part of the Arctic Bathroom project by Koko Architects. 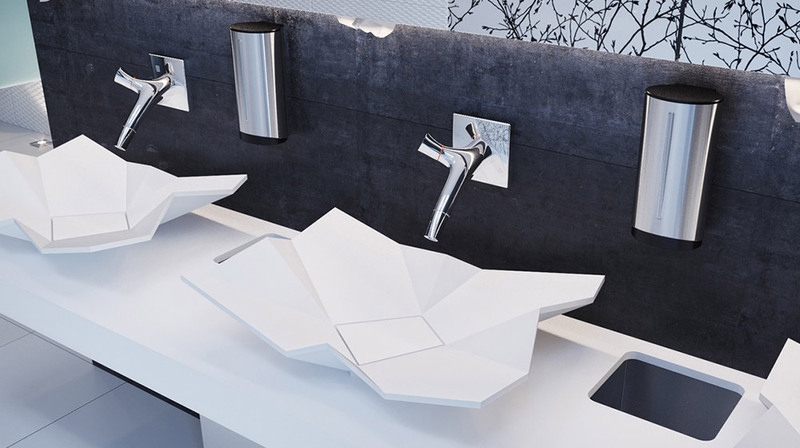 This modern, geometric bathroom sink was inspired by a folded sheet of paper, hence the name Origami. 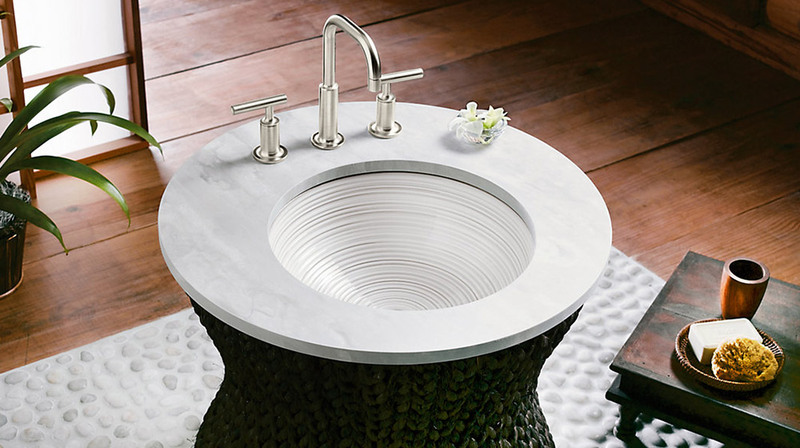 Made entirely from CreaCore, the white matt basin gives a unique look to the entire bathroom. 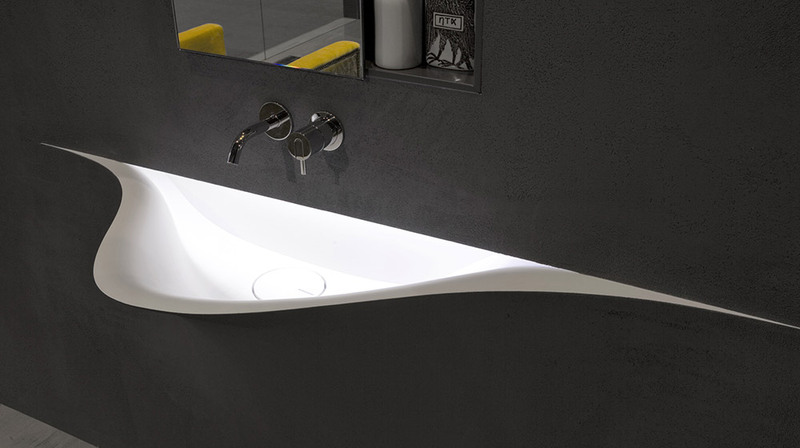 The Silenzio bathroom sink is realized in Corian and can be painted just like the rest of the wall, allowing it to perfectly blend into the surface onto which it is installed. 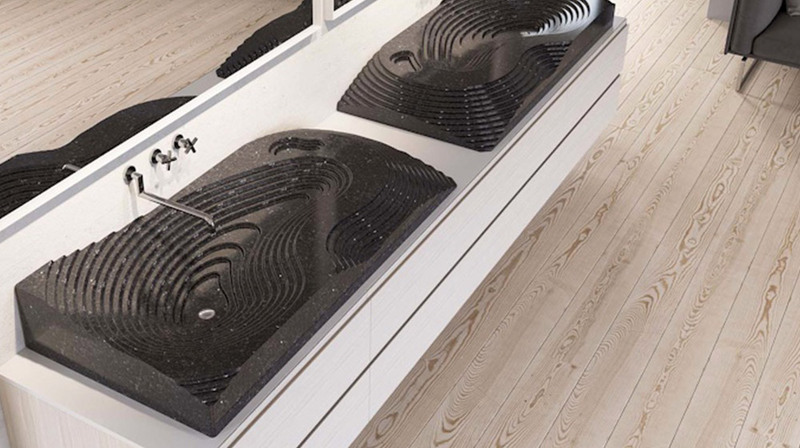 The inspiration for this stone carved bathroom sink came from the Isohypse (contour lines) used in carthography to represent the heights of the mountains. 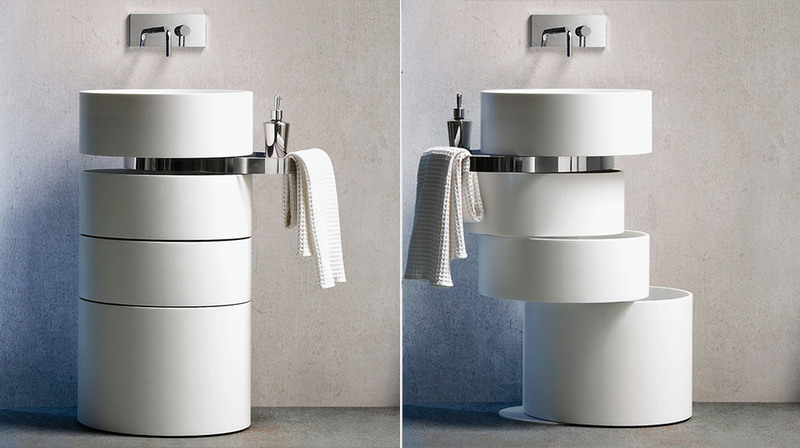 The option to display pure uniformity, or layering circles that move beyond a natural axis of balance, makes the Orbit sink an interesting focal point in any modern bathroom. 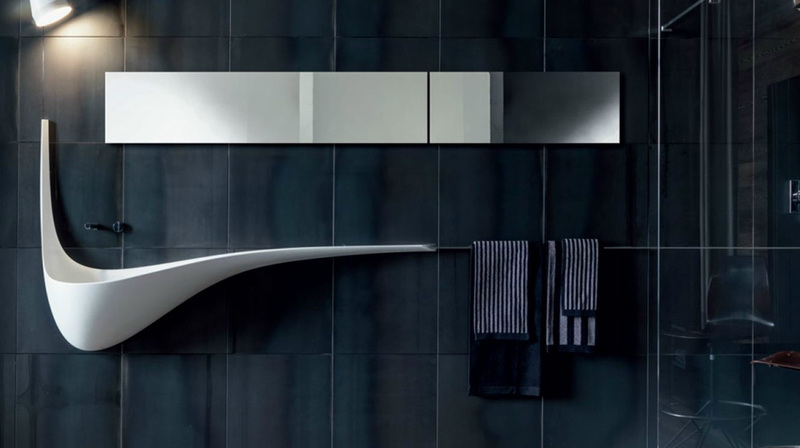 Influenced by the look of handcrafted pottery, the Twirl bathroom sink features horizontal grooves enhanced with a unique glazed finish. 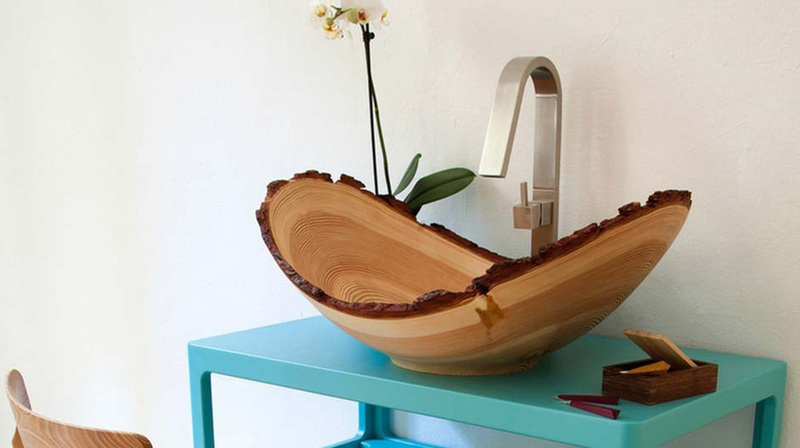 Designed by Benno Vinatzer, this amazing washbasin is made from handcrafted larch wood, showcasing fine orbicular wood lines throughout the surface.